2011-05-25 - ACES, 870 Indian DR, Columbia, KY - Photo by Alan Reed. 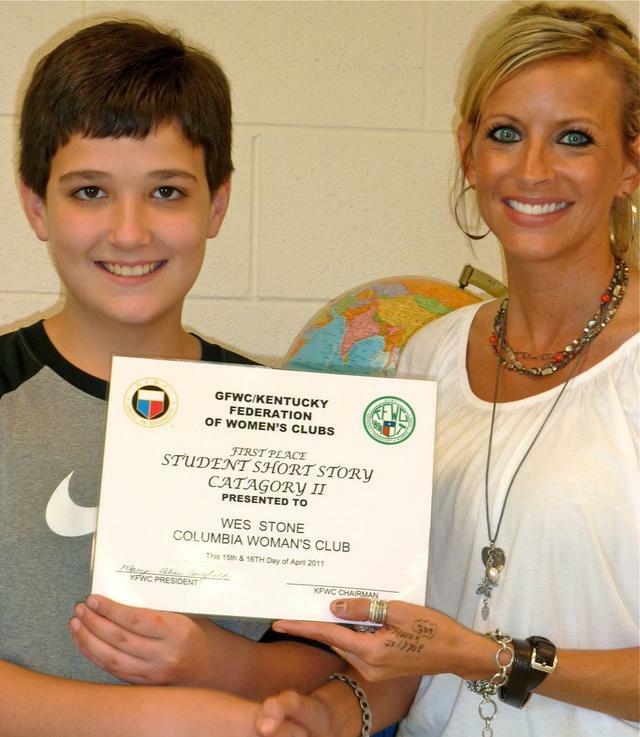 Wes Stone, representing Adair County Elementary School, won 1st place in the state for his short story, "K-9 Million". Wes competed in Grades 4-6 short story division. His homeroom teacher, Ms. Jennifer Kemp, presented him with his certificate.